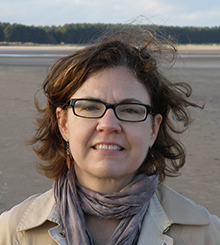 Janice Dowell, associate professor of philosophy in the College of Arts and Sciences, has won the 2014 Marc Sanders Prize in Metaethics for her essay, “The Metaethical Insignificance of Moral Twin Earth.” The award includes $10,000 and publication of the article in Oxford Studies in Metaethics. The Marc Sanders Foundation, which awarded the prize, takes as its mission “to stimulate renewed appreciation for traditional philosophy by encouraging, identifying and rewarding excellent research in metaphysics, epistemology, philosophy of mind, metaethics and philosophy of religion,” and there are annual prizes awarded in each of those fields. Dowell received her Ph.D. from the University of Pittsburgh. She has taught at The University of Nebraska-Lincoln and Bowling Green State University. Her research and teaching interests include philosophy of mind, metaphysics, philosophy of language and ethics.